The User agrees and undertakes not to reverse engineer, modify copy, distribute, transmit, display, perform, reproduce, publish, license, create derivative works from, transfer, or sell any information or software obtained from the Website. 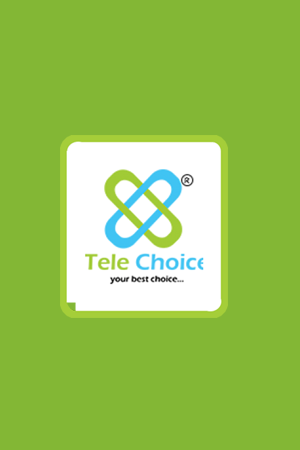 Limited reproduction and copying of the content of the Website is permitted provided that telechoice’s name is stated as the source and prior written permission of tchoice.co.in is sought. For the removal of doubt, it is clarified that unlimited or wholesale reproduction, copying of the content for commercial or non-commercial purposes and unwarranted modification of data and information within the content of the Website is not permitted. 11. Exploit any of the services. We reserve the right to deprive individual customers of our Cash on Delivery payment option. Moreover, we might refuse any of our services, terminate accounts, and/or cancel orders at our discretion, including but not limited to, if we believe that customer conduct violates applicable law or is harmful to our interests. 12. You shall not make any derogatory, defamatory, abusive, inappropriate, profane or indecent statement/s and/or comment/s about tchoice.co.in, its associates and partners on any property owned by tchoice.co.in. The user guarantees, warrants, and certifies that you are the owner of the content which you submit or otherwise authorized to use the content and that the content does not infringe upon the property rights, intellectual property rights or other rights of others. You further warrant that to your knowledge, no action, suit, proceeding, or investigation has been instituted or threatened relating to any content, including trademark, trade name service mark, and copyright formerly or currently used by you in connection with the Services rendered by tchoice.co.in. tchoice.co.in hereby disclaims any guarantees of exactness as to the finish and appearance of the final Product as ordered by the user. The quality of any products, Services, information, or other material purchased or obtained by you through the Website may not meet your expectations. This happens due to the limitations caused by availability of product difference in size charts of respective brands etc. In this instance you agree that a representative from tchoice.co.in will call you or send an approval request via the email address which you submitted when placing your order. If you do not agree with the requested change you retain the right to reject the requested production change by replying to it within 10 days of it being sent to you. tchoice.co.in may re-request that you accept a production alteration one additional time if an alternative method to send your merchandise is available. If you reject this 2nd request your order will be cancelled and you will be fully refunded via your initial method of payment. The Website may contain links to other websites (“Linked Sites”).The Linked Sites are not under the control of tchoice.co.in or the Website and tchoice.co.in is not responsible for the contents of any Linked Site, including without limitation any link contained in a Linked Site, or any changes or updates to a Linked Site. tchoice.co.in is not responsible for any form of transmission, whatsoever, received by you from any Linked Site. tchoice.co.in is providing these links to you only as a convenience, and the inclusion of any link does not imply endorsement by tchoice.co.in or the Website of the Linked Sites or any association with its operators or owners including the legal heirs or assigns thereof. The users are requested to verify the accuracy of all information on their own before undertaking any reliance on such information.